for Your New Family Member? 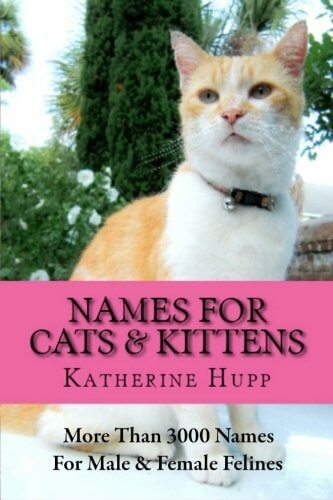 "Cat names are just as personal and individual as those for humans." So What Do I Call My New Kitty? There are too many possible cat names! The purpose of this article is to help you decide what to call your new cat or kitten: something you'll like, and something your feline friend will respond to. What factors should you consider? How do you choose from all the possibilities out there? 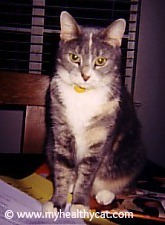 Numerous lists of feline names and their meanings and origins can be found all over the internet and in cat name books. You can also look through baby books to see what ideas you can find there. And you can make things up and come up with unique cat names. The possibilities for your new cat or kitten are endless! The real problem is that there are too many choices! Oftentimes, someone will have a name that they have always loved. They knew that their firstborn child would be christened with this glorious handle. Only to find that the other parent (or grandparent or in-law, or whomever) wasn't as enamored with the choice. Enter: a new kitten. At last! An opportunity to bestow that glorious moniker on another living being. For this reason, we find many, many cats (and dogs and other animal companions) with perfectly "human" names. Some of the more popular people/cat names are Max, Lily, Sam, and my favorite, Olivia! Remember that whatever name you choose, it will likely be your cat's name for life. Just as you are making a life-long commitment to your new kitten or cat to take care of her to the best of your ability, you are also making a life-long commitment to what you christen her. It isn't fair or useful to try to change cat names two years later when you stumble across something you like better. And, even if you find that several months later, the name you've chosen just doesn't fit your cat, remember, to your cat it's just a neutral sound. It has no particular connotation or meaning, good or bad. So it's best for your cat if you do not change her name mid-stream. This is another reason that it's best to keep the name your cat already has if you are adopting her from previous parents. "But I don't like it!" Convenience: You don't have to go through the torture of choosing a new one! Safety: Especially for outdoor cats, if your cat already knows her name, this will help in bringing her inside faster if you need to. It also helps if your cat gets lost in her new neighborhood. Easier Transition: If your feline friend is newly coming into your home, then having the familiarity of her already chosen name can help to ease the stress she'll be experiencing as she adjusts to her new home. Bringing home a kitten who has already been named is less of an issue. If your kitten is used to her previous name, then it would be easier to keep the old one. However, kittens are more adaptable and can more easily adjust to a new name. The one thing to be careful of here is that you do not wait too long to christen your new cat or kitten. Many parents of human children prefer to wait several weeks to see their new baby's personality before naming the baby. This is fine for humans, but cats and kittens need to be named much more quickly. Using your cat's name as soon as possible helps ease the transition for your new cat. It makes training your new family member a lot easier and it helps your new cat to feel more comfortable in her new surroundings. Although we often attribute human characteristics to our cats (and rightly so! ), the concept of embarrassment just does not apply to your cat. They don't care. So don't worry what your cat will think about what you call her! However, you need to be sure that you and other caregivers are not embarrassed about the name chosen, especially if you have an outdoor cat. Be sure that you are comfortable calling your cat's name out loud. If you must choose something that is long, embarrassing, or otherwise does not seem quite right for everyday use, then give your cat two names: one for you to do with as you please, and one to use when talking to and calling your kitty. Spend quality time with your cat petting her while you gently, soothingly repeat her name over and over. When you call your cat by her name, and she comes, give her a healthy treat. You can do this the first few times when she comes. Then only sporadically give her a treat. After a while you can taper off the goodies and she'll still come to you, probably (read the next section on training cats to come). Use your kitty's name when calling her to dinner. These may sound like bribes, and in fact they are. In my personal experience with cats over many, many years, it seems that petting and repeating the name over and over works very well. Have you heard the joke about the difference between cats and dogs? Dogs come when they're called. Cats take a message and get back to you when they feel like it. In my experience, the majority of kitties who know their names will come when called. But it might take a little training to get them started. It is possible to train the majority of cats to come when they are called (or shortly thereafter—they like to make it seem likes it's their idea!). Just follow the steps listed under Teaching Your Cat Her Name above and you should have as much success as any cat "owner" can have. Cats and Dogs - Introducing new cats and dogs to each other. 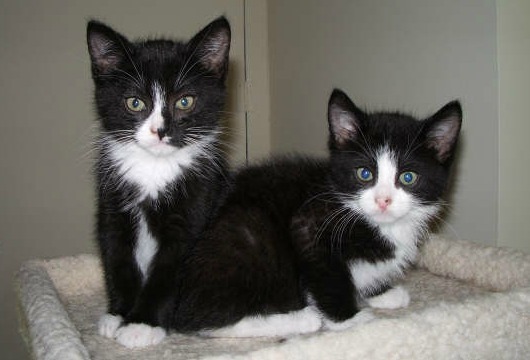 New Cat at Home - How to ease the transition when you bring home a new cat or kitten. Multi-Cat Household - Introducing a new cat to a resident cat; how to help cats adjust to each other.